No, this is not a truck commercial, but it is a serious attempt to run off the road California’s latest renewable energy workout program called the Renewable Auction Mechanism (RAM). Both PG&E and SCE have filed motions for reconsideration January 18 2011 at the California Public Utilities Commission alleging that the CPUC decision in December 2010 imposing this reverse auction mechanism is contrary to law. If the CPUC denies their motion, which is likely since the commission adopted the RAM mechanism by a 5-0 vote, the utilities would then go to court to overturn the decision. Renewable energy advocates saw their goal of 33% state renewable portfolio standard vetoes by former Governor Schwarzenegger who said the bill was defective. He then issued an executive order putting the 33% rule into effect administratively. That EO expired with the Terminator’s term of office. So technically, the law of the land in the Golden State is 20% RPS and the problem is we are about to achieve it! In business achieving your goal is good, in politics not necessarily. Raising the goal to 33% is seen as essential to keep the renewable project pipeline full. While the market for solar energy worldwide is growing fast so is the competition especially from China. 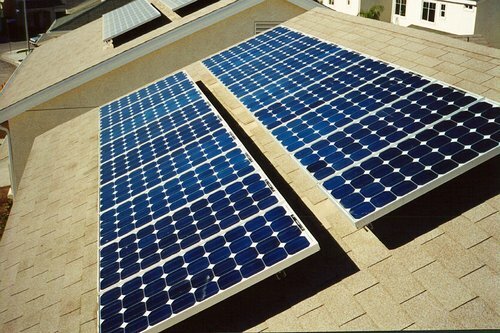 Chinese exports of low cost solar photovoltaic panels is undercutting the business of domestic solar manufacturers in every market of the world. China’s strategy of driving down prices to gain market share for their own production lines may be good for consumers but it is bad for the solar energy producers. The solar energy lobby worked hard to get the reverse auction mechanism approved to add an addition 1000 mw of RPS procurement requirement to the big three investor owned utilities. The RAM decision also set a specific timeline of two auctions per year to reach the goal. It also suspended the requirement that the auction winners’ prices must be at or below the CPUC market price referent rule which limits how much a utility can pay for renewable energy over the competitive market price. The utilities cried foul claiming the CPUC does not have the authority under California law to support the RAM decision because RAM only applies to the big three IOUs not every CPUC jurisdictional utility, that RAM forces the utilities to go beyond the statutory 20% RPS target, and that it ignores the market price reference cap. California’s investor owned utilities are nearing their 20% RPS goals and want to declare victory fearing that buying more renewable energy than the law requires at above market prices will bring a ratepayer backlash over rising utility bills. While California politicians, regulators and renewable energy vendors dream of a 33% RPS future the law says 20% is the cap and there is little prospect of getting it raised. The RAM decision by the CPUC appears to be at odds with the law in three ways that are not easy for the CPUC to fix and still make the program work as planned. The solar energy advocates for RAM are racing to complete projects before Federal loan guarantees deadlines and other stimulus money extensions run out at the end of 2011. Competition from China is growing ever fiercer for the solar industry as prices on imported solar panels falls making them the cheapest option. RAM was seen as a way to prop up solar energy sales volume fast to help offset the full brunt of Chinese competition. Allowing utilities to pay above the market price referent for solar procurements favors American producers. There are growing outcries over taxpayer money subsidizing solar panel purchases from China—the same problem faced in Europe when Spain and then Germany cut feed-in-tariffs as domestic panel producers decried China’s undercutting their prices and taking market share. If the CPUC denies rehearing and the utilities go to court they essential win because it delays the implementation of RAM or casts financial doubt on contracts entered in under RAM until the litigation is resolved. In a renewable energy market of falling equipment prices due to China’s export drive for market share and waning Federal and State subsidy opportunities the solar market future does not look as sunny without RAM in California. This entry was posted in California, Electric Power and tagged California, California Public Utilities Commission, China, IOU, RAM, renewable energy, Renewable portfolio standard, Reverse Auction Mechanism, RPS. Bookmark the permalink. ← Are We heading for a Smart Grid ‘Inconvenient Truths’ Experience?